Alandia Heard depends on buses to do her job as a personal care assistant. She spends about two hours riding each day. 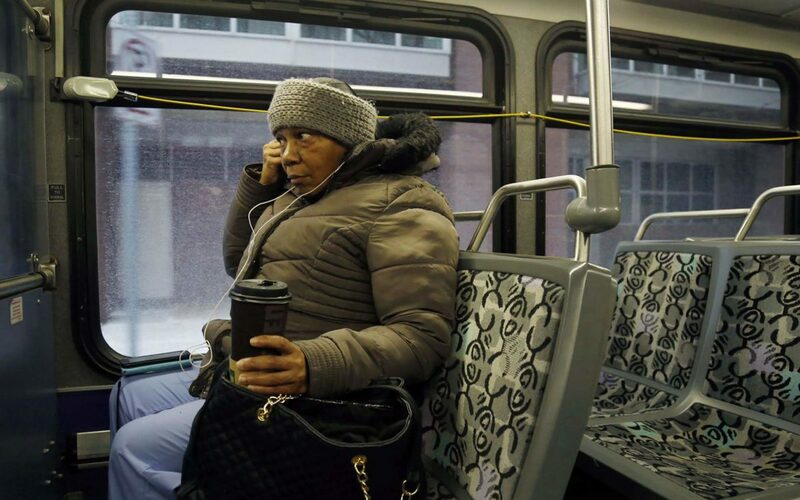 She typically starts from her North Side home and rides Downtown, where she transfers to whichever bus will take her to outlying areas, like Coraopolis or Carnegie, to make house calls. “A car is a luxury that I don’t have, and I can’t afford one,” said Heard, 56. When it’s cold or raining, Heard is especially bothered by her commute. “In the wintertime, when it’s really cold outside or if it’s raining something fierce outside and there’s no shelter, you have to stand there and freeze or get rained on,” she said. While plenty of people fret long commutes, the path from home to work isn’t only a matter of convenience. Experts say lengthy commutes like Heard’s can take a toll on physical health and negatively impact mood and mental health. Dr. P. V. Nickell, chair of the Psychiatry Department at Allegheny Health Network, explains that lengthy commutes cut into the scarce time people have for other tasks. “If you spend an extra hour and a half of your day beyond your work time commuting, that comes out of family time or fun time or sleep time or exercise time, all of which are healthy and essential to a balanced and contented life,” Nickell said. A 2012 study from Brown University found that long commute times reduce time devoted to exercise, sleep and preparing food. Researchers in the United Kingdom found that workers there with commutes of an hour or longer were 37 percent more likely to have financial worries and 33 percent more likely to experience depression, according to a 2016 study of more than 34,000 workers. More than 23,000 workers in the Pittsburgh region were commuting more than 90 minutes in 2016, according to an Apartment List analysis of American Community Survey data from the U.S. Census. They have joined legions of so-called “super commuters,” a population that has increased by more than 7,700 since 2005. How is the daily slog to and from work impacting local residents? Jesse Acton lives in New Eagle, a Washington County borough along the Monongahela River. To make his noon shift at Segway Pittsburgh, which starts in Station Square, he catches a bus more than two hours earlier. Because buses run only about once an hour when he needs to ride, he spends a lot of time waiting around. Once, he missed the bus. The mistake cost him more than $20 for an Uber to the nearest trolley station. As the hours add up, he feels he’s wasting his time. When work ends, he’s lethargic and tasks like cooking and cleaning feel more difficult. A Brown University public health researcher found that someone who commuted one hour daily would experience a 23 percent reduction in physical activity and a 17 percent reduction in time spent preparing food were their daily commute to increase to two hours. 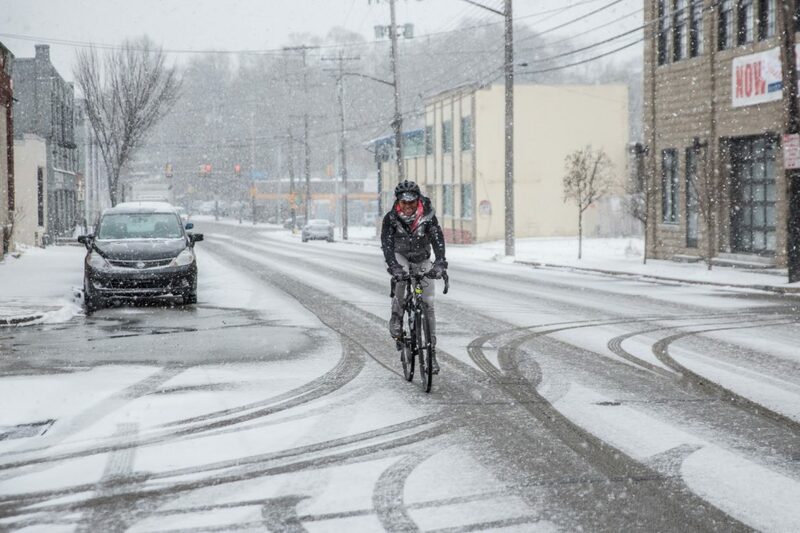 Slightly more than 2 percent of commuters in the Pittsburgh metro area were classified as super commuters in 2016, according to the Apartment List analysis of American Community Survey data from the U.S. Census. That’s a relatively small share, compared to 4.1 percent in Allentown, Pa., and 10 percent in Stockton, Calif., which had the highest share in the nation’s 100 largest metro areas. Apartment List notes that experts point to a decrease in willingness to move and climbing housing costs as an explanation for an increase in super commuters. According to the Moovit Public Transit Index, the average amount of time people spend commuting by public transit in Pittsburgh is 73 minutes. About one-quarter ride for more than two hours. 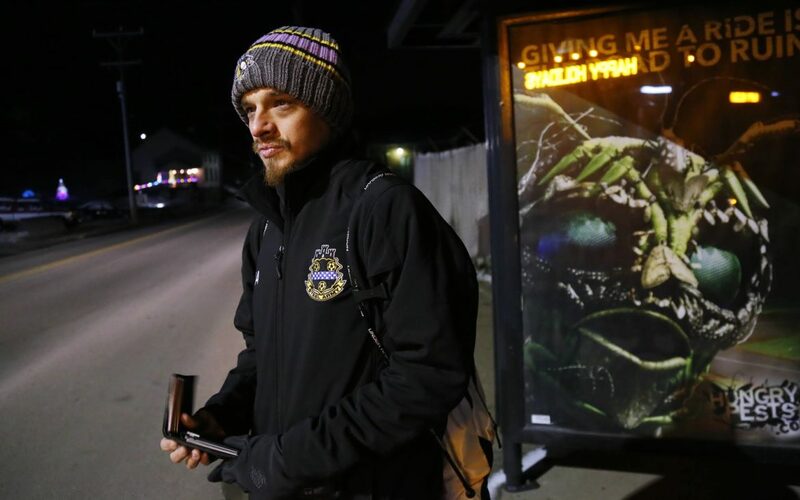 Rahul Amruthapuri commutes 90 minutes by bus from Beaver to Oakland. As a doctoral student and teaching assistant at the University of Pittsburgh, the 30-year-old keeps a close eye on his schedule. “I have to plan my day very perfectly because if I’m even a minute late…it means I’ll have to wait another hour before I get to campus,” said Amruthapuri, who has done mapping work for Pittsburghers for Public Transit. Laura Wiens, the advocacy group’s director, said the negative impacts of long commutes heighten for low-income workers. Wiens describes bus lines as “life lines for a lot of communities.” She said the region’s transit system penalizes people for not living closer to work or important locations like grocery stores and doctor’s offices. A quarter of the 20,710 Pittsburgh-area commuters who responded to the 2015 Make My Trip Count transit survey reported they ride buses. 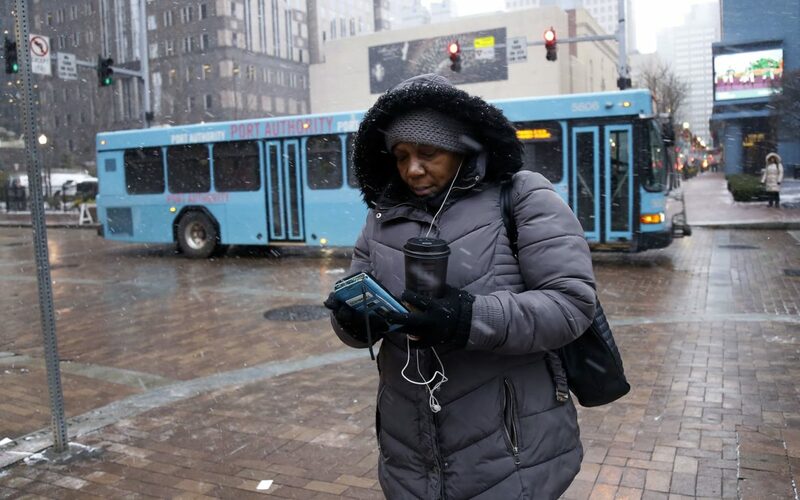 For agencies like the Port Authority of Allegheny County, designing a system that doesn’t burden certain riders presents challenge. “For all routes, it’s a balancing act between keeping a route as concise and direct as possible but also trying to serve as many people as possible,” Port Authority spokesman Adam Brandolph said. Results from a 2018 Make My Trip Count survey are due to be released in 2019. 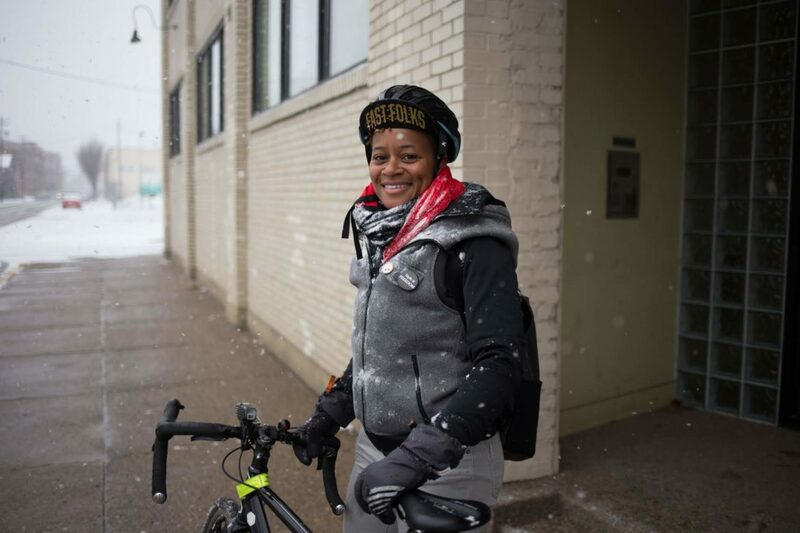 For 34-year-old Shequaya Bailey, the choice to bicycle to work shows both the potential problems and solutions for commuters. She used to ride a half hour from her home in Wilkinsburg to her old job in Oakland. Dodging motorists became a staple of her trip. Vehicles actually struck her three times. She went to the hospital following two of these collisions, including once with a concussion. Now she enjoys a 10-minute commute to her job as an administrative manager at Grounded Strategies, a community development organization with an office in Homewood. Riding her bicycle makes her feel great. Active commutes, like walking and biking, are the healthiest options both physically and emotionally, even for just part of one’s commute, Dr. Nickell said. But walking and biking the whole way isn’t an option for commuters who live far from work. Nickell’s commute lasts about a half hour. He finds traffic irritating. Nickell recommends that people try to limit the mental toll of a commute by spending the time productively, perhaps by listening to podcasts. Some area companies allow workers to cut out their commutes by working from home. “We take the approach of letting our businesses and our leaders decide how a flexible work arrangement or working remotely might be most successful to an individual’s role,” said Liz Harrington, vice president of wellness and work-life strategy manager at PNC. For workers bound to an office, having more control over the trip can put them on course for a better day. Matt Petras is a freelance reporter based in the Pittsburgh area as well as a writing and journalism tutor for Point Park University. He can be reached at matt456p@gmail.com or on Twitter @mattApetras.